In the 1990s, cards were mass-produced. Everyone still has a huge baseball collection in their basement waiting for the value to go up. The auction for a PSA-graded card started on Sept. 15 with an opening bid of $900. It will end on Sept. 29. 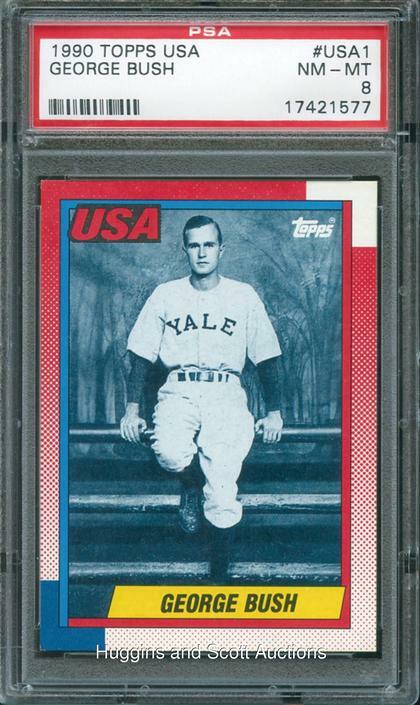 According to the auction description, the George Bush card is only the third card to be graded by PSA. Beckett grading services have just had two come across their desk, according to the site’s population report. My favorite part of this card is the beck. Home: 1600 Pennsylvania Ave. Washington, D.C. The blog USA Future Watch has done some interesting research on the card. Check out their blog. 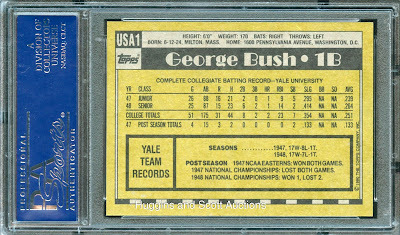 Some claim that 100 of these Bush cards were produced. 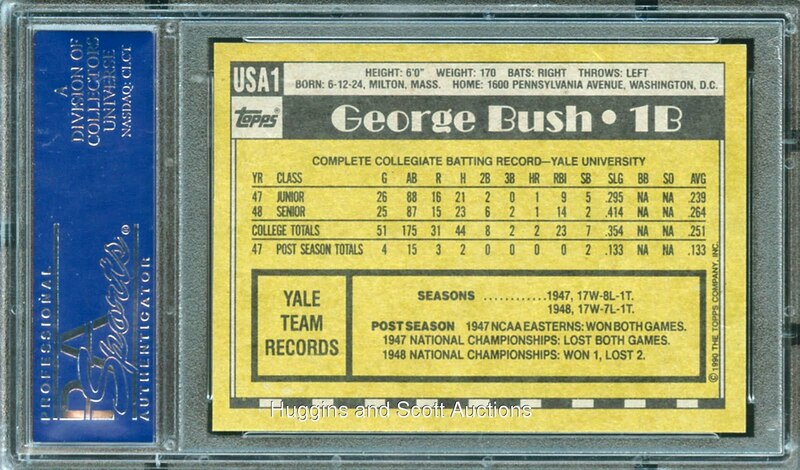 Most interesting part of the card (and a fact that most don't know): George Bush played in the College World Series twice.